Steven Rosenwasser represents both plaintiffs and defendants in contract, business tort (breach of fiduciary duty & partnership), fraud and antitrust matters. He is frequently called upon to represent individuals and corporations in negotiating contracts, as well as in litigating complex disputes at the trial court and appellate levels. Steven has built a successful track record in the court room and as a negotiator. On the plaintiff side, Steven, along with other colleagues from the firm, obtained a $281 million jury verdict against Turner Broadcasting System that was rated the No. 2 verdict in the United States by LawyersUSA. Steven also represented a class of insulation contractors in an antitrust suit against Masco and four major insulation manufacturers that settled for $112 million. In addition, Steven was part of the Bondurant Mixson team that obtained a $192 million settlement of a class action against The Coca-Cola Company that became famous as the largest settlement of a race discrimination case in U.S. history. Steven also served as plaintiffs’ counsel in a class action against an international bank which settled for $29 million, a regional bank which settled for $34 million, and a national transportation company which settled for $21.5 million. Collectively, Steven has recovered more than $600,000,000 for his clients. On the defense side, Steven has represented numerous clients against breach of contract, fraud, infringement and other claims. For example, Steven successfully represented a Fortune 100 company in defending against a nationwide class action, and has successfully represented mid-to-large companies in defending against state-wide and nationwide class actions. Steven also defended a Fortune 1000 company against claims for breach of contract and fraud where the plaintiffs were seeking damages in the tens of millions of dollars. Steven also defendant a multi-million dollar hedge fund against claims of fraud and negligent misrepresentation, and successfully represented a large Georgia law firm against malpractice claims. Steven has served as counsel for companies such as, BB&T, Johnson Controls, Iberia Bank, Darling Ingredients and Global Payments. 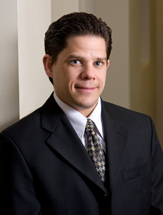 Steven is a frequent lecturer and author on business litigation topics including electronic discovery, effective trial techniques, and class actions. Steven’s work has been recognized by both independent groups and his peers. For example, in 2008, Steven was recognized as being “On The Rise” by the Fulton County Daily Report, a recognition given to only 12 attorneys in Georgia under the age of 40 (click here to read the article). From 2017-2019, Steven is named a "Super Lawyer" by Atlanta Magazine. And, from 2007-2009 and in 2011-2013, Steven is named a "Rising Star" by Atlanta Magazine, indicating that Georgia lawyers ranked him as among the top 2.5% of attorneys under 40 in Georgia. Steven’s work has been the subject of numerous articles and television programs, including articles in the Wall Street Journal, the New York Times and the Atlanta Journal Constitution. Steven has also been interviewed by the CBS Evening News, National Public Radio and Dateline NBC. Represented David McDavid in obtaining a $281 million jury verdict against Turner Broadcasting System (TBS) for breaching an agreement to sell McDavid the Atlanta Hawks, the Atlanta Thrashers and the operating rights to Philips Arena. The jury verdict is one of the largest compensatory damage awards in Georgia history. Served as plaintiffs’ Class Counsel in a class action antitrust case filed against Masco Corporation and the four largest manufacturers of insulation. The case settled for $112.25 million, one of the highest antitrust settlements to date in the state of Georgia. This settlement was named the #1 class action settlement in Georgia in 2012 by the Fulton County Daily Report. Defended one of Atlanta’s largest law firms against claims of malpractice; successfully argued to have the case dismissed shortly after it was filed and defended the trial court’s Order against challenges made in both the Georgia Court of Appeals and the Supreme Court of Georgia. Successfully defended a Fortune 1000 company against claims for breach of contract and fraud where the plaintiffs were seeking damages in the tens of millions of dollars. Defended one of the creators of a multi-million dollar private technology fund against claims of fraud and negligent misrepresentation. Along with colleagues at the firm, served as plaintiffs’ Class Counsel in a class action race discrimination lawsuit against the Coca Cola Company that was settled for $192.5 million, the largest settlement of a private race discrimination lawsuit in the U.S. to date. Represented TASER International, Inc. and 40 of its largest shareholders in a lawsuit alleging that eight Wall Street firms, including Goldman Sachs, Merrill Lynch and Morgan Stanley, engaged in naked short selling and illegal conversion and flex option trades that artificially depressed TASER's stock price. The case was resolved through a confidential settlement. Successfully obtained class certification on behalf of approximately 1000 property owners who alleged that a rendering company negligently operated its rendering plant in Laurens County, Georgia. Defended the certification decision before the Georgia Court of Appeals and the Supreme Court of Georgia. Represents a local bank in nearly all aspects of litigation, including breach of contract, loan defaults and banking regulation issues. Steven has obtained tens of millions of dollars in judgments for this banking client. In a pro bono case, successfully obtained the reversal of a lower court decision on behalf of a prisoner in an appeal to the United States Court of Appeals to the Eleventh Circuit. The ruling clarified the requirements for exhaustion of administration remedies, and has been followed by other circuit courts. Steve Rosenwasser Selected by the Fulton County Daily Report as One of Twelve Georgia Lawyers Under Forty Who are "On The Rise"